A Manifestation Of Jupiter In Sagittarius (With A Splash Of Neptune) – Dior Dream Parade! Your Jupiter Retrograde Horoscope is Here! After a 13-months emphasis on the Scorpion’s sign, the biggest planet in our solar system moved into Sagittarius terrain. Read more about Jupiter in Scorpio, here. Interestingly, Jupiter left this sign just after the new moon in Scorpio; the transition of the planet between Scorpio and Sagittarius also involved a Mercury Retrograde involving those two signs, too (scroll down to see the important dates below). With Venus lingering in Scorpio throughout December 2018 there was a slow start to Jupiter in Sagittarius. Mars in Pisces (alongside Neptune) didn’t let up on our planet of growth and expansion either, presenting a major clash during the new moon in Sagittarius, December 7th. For this reason – not to mention the emphasis of Saturn and Pluto in Capricorn – I’d consider the ‘power’ of Jupiter’s tour of Sagittarius a little more lacklustre than we’d hope. Jupiter In Sagittarius – What To Expect? Jupiter in Sagittarius = Heightened global awareness, news about international relations, and overseas matters BUT Neptune in Pisces makes it confusion and elusive. Brexit and Britain leaving the European Union has been big news all year but is total chaos. The USA is a Sagittarius Rising country, with moon in Sagittarius Donald Trump at the helm, and we’ve seen more fake news, religious fanaticism, outlandish blunders and exaggeration. Sagittarius is the sign of mutable / moving fire; 2018’s wildfire season was the most destructive on record in California, proving deadly in a town called Paradise on November 8th – the day Jupiter transitioned. Jupiter in Sagittarius (wildfire) wreaking havoc in Paradise and Malibu – Neptune in Pisces. Travel Trends, any developments in the travel industry – particularly green and solo travel are thanks to Jupiter in Sagittarius, and the last influence of Uranus in Aries. Jupiter Retrograde (24º21) April 11th 2019 – August 12th 2019 (14º30) – read your Jupiter Retrograde horoscope, here! Jupiter enters CAPRICORN December 3rd 2019. I also think it’s worth mentioning the new moon in Aquarius (with Mercury) on February 4th 2019 as an important date, as this was a new moon aligned with Jupiter, and widely aligned with Mars and Uranus (heading into a conjunction). International affairs have been pertinent in fashion, too! Dolce & Gabbana have already made a massive blunder in offending the whole of China, during Mercury Retrograde in Sagittarius, which cost them dearly. Sagittarius Nicky Minaj also got called out to perform at a ‘fake’ concert in China, which she refused to perform. 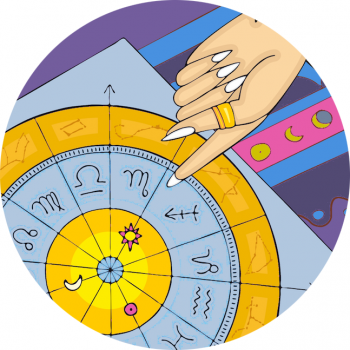 One Line Horoscopes For Each Zodiac Sign – Click for More! Pisces – Visibility (read your 2019 horoscope here).